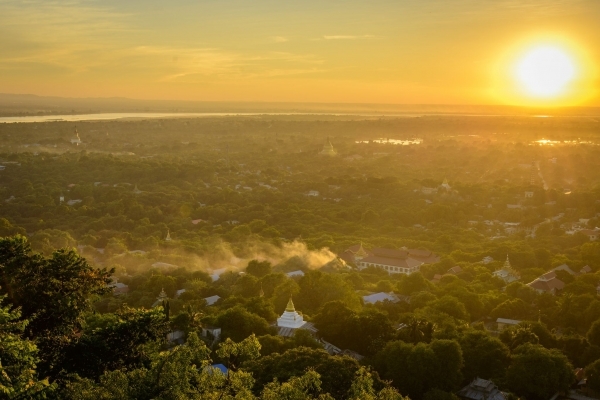 Mandalay Hill is a 240 metres hill that is located to the northeast of the city centre of Mandalay in Myanmar. The city took its name from the hill. Mandalay Hill is known for its abundance of pagodas and monasteries, and has been a major pilgrimage site for Burmese Buddhists for nearly two centuries.